An investment into your home by installing solid wood floors is one that will have many rewards. Many homeowners love the looks of the hardwood flooring throughout their home. This gives their home not only a great look but installing residential wood floors will also last longer than any carpet or tile. Residential wood flooring will also add value to your home, not only by the looks of the beautiful flooring but will add price value to the home as well. Hardwood floor contractors that specialize in hardwood floor installation should complete any floor installation that you choose to have done in your home. 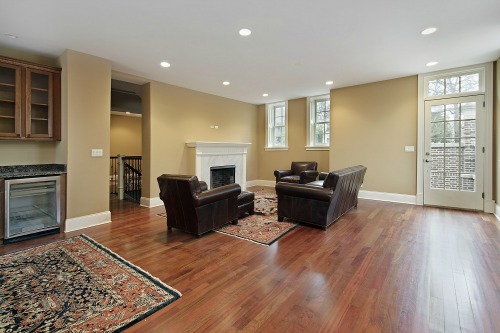 Sandy Springs Hardwood Flooring specializes in wood flooring installation. The teams of professional residential flooring contractors assist in the decision of what is the right option for your home. The solid wood flooring will help transform your home into the dream home that you have always deserved. We love hearing your ideas, so give Sandy Springs Hardwood Flooring a call today at (404) 341-7071 to talk about all your residential hardwood flooring dreams today. Sandy Springs Hardwood Flooring sets itself aside from other residential flooring companies by offering the best residential wood flooring installation contractors in Atlanta area. Our residential wood flooring costs are very competitive. The one question we always get is how much does wood flooring cost? Our wood flooring installation cost per square foot is super affordable and offers the professional service that you are looking for. Our customer service team is top notch and ready to work with you today. Our company has many options to meet your budget. We are very passionate making sure that our residential wood flooring costs meet the needs of your home and pocket as well. Wood flooring cost per square foot installed is the question that everyone wants to be answered. The price includes wood flooring cost per sq ft and the wood flooring installers cost per sq ft. This is determined by the flooring option that you choose and the installation process that needs to be completed. Call us today at (404) 341-7071 so we can make your dream ideas a reality. Our team of professional here at Sandy Springs Hardwood Flooring will hand down be the best option for your home. We make sure that the installation process is completed correctly. This is important because if the flooring is not properly installed it will void the warranty from the manufacturer. We specialize in the different methods of installations. Each flooring option has its own method of installation. We have the experience and knowledge to make sure the job is completed right the first time. We carefully plan the project with the correct materials. It is important to make sure the cost includes only the materials that are needed for the job. This eliminates the overpaying for materials that are not needed. With our skills and experience, we are able to complete the job from beginning to end. Starting with the leveling and cleaning of the subfloor. Our contractors know the importance in starting the job right the first time. This controls the risks of anything in the future with your new floor. Nothing is more frustrating than knowing that a job was not started correctly and has to be completely redone. You will save time and headaches knowing that the right professionals are on the job. Sandy Springs Hardwood Flooring is able to meet the needs of our customers and their budgets. We offer engineered flooring products as well. This gives your home a great look of the solid wood floorings without the cost. The engineered flooring is made up of multiple layers of wood backed with several more layers of plywood. When the planks are created, this process makes the flooring not affected by the humidity like the standard residential wood flooring is. This makes this type of flooring a great option for floors with heat installed within them, in bathrooms, or even in a finished basement. Wood flooring companies also suggest that it can be installed directly over concrete or even an existing floor. The tongue-in-groove system makes an engineered wood floor repair very simple as well. 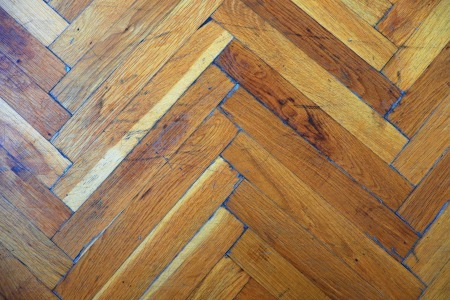 The wood floor repair team is able to simply remove the damaged section and replace with new. This makes it one of the best residential wood flooring options available for the cost and look. Sandy Springs Hardwood Flooring also offers hardwood floor repair. Our team of specialized contractors is able to determine what is the best option to repair your current wood flooring. We always discuss the cost to repair and refinish residential hardwood flooring over installing new flooring. We have several methods that our specialized team is able to offer. Our team is able to complete a screen and re-coating of the hardwood. This usually is suggested when the floors become dull from heavy foot traffic or abuse. We are able to use a buffing machine to screen the surface and then add a new coat of finish to restore the shine. This usually can be completed in one day. We can also offer sanding and finishing. This is usually suggested when you have years and years of wear. Over the years, the floor develops scratches and nicks that can become noticeable and can take away from the beauty of your flooring. 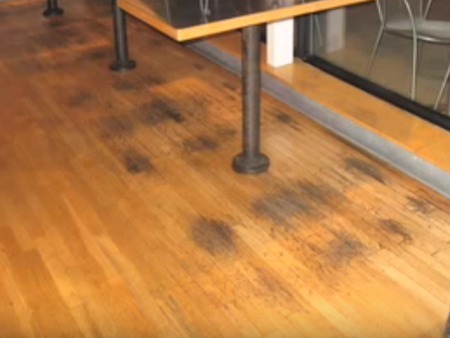 This is a complete restoration in which equipment is used to sand the floor back down to the raw wood, then re-stained, and then re-polyurethane. This process will bring it back to new. This job can take up to a week to complete depending on the size of the area and the damage. The process also allows for you to add a different look to your floor if you would like. Choosing the stain allows for this to give your home a new look. You can decide on a different color or even several different colors to give your home a completely new and modern look. Each method is a great option for your home. Sandy Springs Hardwood Flooring is committed to completing the job with the right skills and professionalism that allows your floors to shine. Contact us today at (404) 341-7071.